Facing fierce competition from Amazon.com, eBay has sold its Indian operation to local retailer Flipkart, while joining Tencent and Microsoft in investing US$1.4 billion in the Indian company. In exchange for an equity stake in Flipkart, eBay will make a $500 million cash investment in the local startup to whom it will also sell its eBay India business, the e-commerce giant said in a statement. Flipkart will run the eBay India business as an independent entity upon the close of the transaction. India’s online retail business has witnessed cut-throat competition, with most of the players engaging in deep discounting and new services to customers, such as the ability to pay in cash when orders are delivered. Flipkart has expanded from starting mainly as an online bookstore to selling a variety of other categories of products including consumer electronics. The retailer is also reportedly in talks to acquire SoftBank-backed retailer Snapdeal as it tries to increase its user base to counter Amazon, which said last year it would invest $3 billion in the Indian market. The deal with eBay gives Flipkart access to global markets for its Indian products, while giving its Indian customers access to products from eBay. Flipkart and eBay said they will also push each other's inventory to their respective customers. Tying with Tencent brings Flipkart "significant expertise," as well as funds to keep going in a market that requires deep pockets. 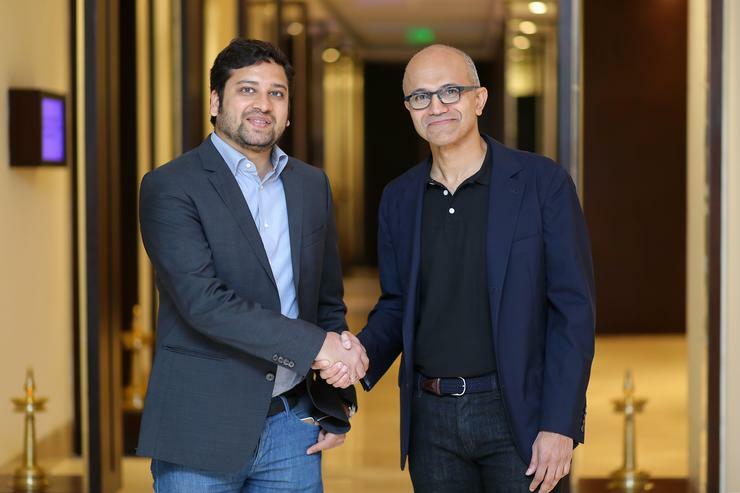 Microsoft recently announced that Flipkart would be using its Azure cloud as its public cloud platform, instead of using its own data centers. Microsoft is targeting startups in India with its cloud services. Google and A.T. Kearney projected in a study last year that online retailing will contribute as much as 25 percent of the total organized retail sales by 2020 and will reach $60 billion in gross merchandising value by then.